Six weeks has flown by and I find myself sitting in Cape Town airport wondering how I can put down in words what a fantastic summer I have had. Do I start with the successes or the failures; the setting or the activity; the poignant moments or the general experience? Perhaps I should have written a blog earlier and broken this down into smaller bits.…Well I’ll have a go and try not to ramble on for too long. David, Emma and I arrived at the end of July to a familiar and beautiful setting. We were here two years ago so this time our minds were full of anticipation for the climbs we left unclimbed. Some had denied us, as we weren’t strong enough, some we hadn’t even tried. We were happy to be back and keen to get stuck in. I had a long list of boulders I wanted to climb. I had nearly done quite a few classics in 2011 so I had a lot of unfinished business. 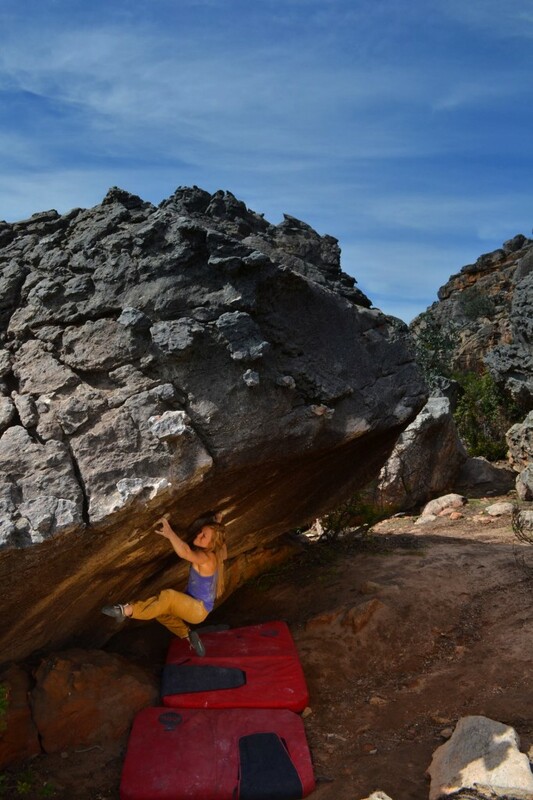 At the same time, I also wanted to see if I could up my game and I decided to try some harder boulders at the 8B level…testing the water I guess. So my list was pretty extensive, with a lot of classic 8As and 7C+s as well as climbs like The Vice and Mooiste Meisie (both 8B). Six weeks sounds like a long time (and it is) but it raced past. Before I knew it we were half way through, Emma was leaving soon and James was arriving. Although I had had quite a lot of success on my classics list, I was not making the progress I wanted on the harder ones. I discovered early on that on both the harder climbs I could do all the moves. Good start. I could also do some okay links but then I started to hit a bit of a wall in different ways on both climbs. On The Vice, I found that I needed more than a day’s rest to recover from the beating it gave me and so I had some great sessions and some sessions where I was totally useless on it (knocking my confidence) and I had moments where I felt trying it was a bit silly. On Mooiste Meisie I made more progress but there was one move that I had a low percentage of success on….and it was right at the end! So, on the hard stuff front I had a tricky time. BUT, I have learnt that I am very nearly strong enough to climb that hard and it gave me confidence to try other things at that level. I think if I had focused purely on those climbs this trip, maybe things would have been different…but maybe they wouldn’t have. 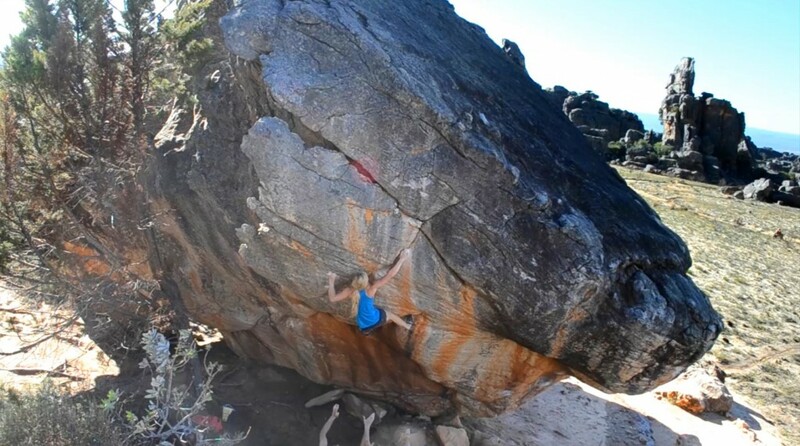 Amphitheatre (8A+) – Which I found very hard and therefore very satisfying. 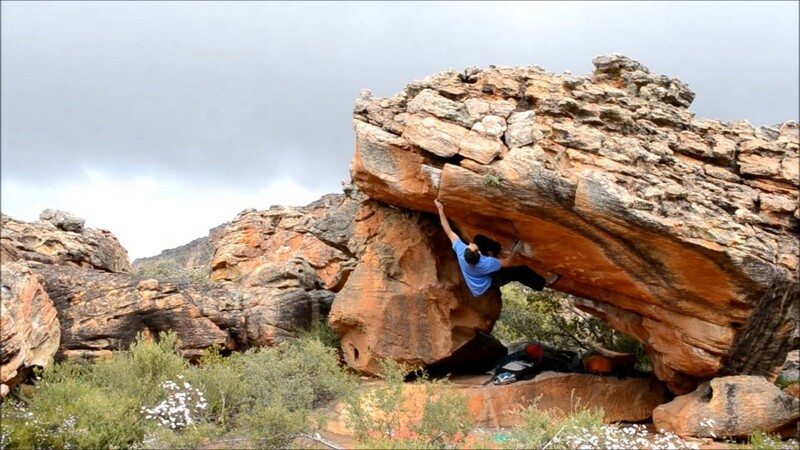 Out of Balance (8A) – One of the best lines in Rocklands. Splash of Red (7C+) – A beautiful, high, nerve-wracking arête. Barracuda (8A) – It denied me last time but felt like a different climb this year. Tomorrow I Will Be Gone (7C) – A climb I thought I couldn’t do. Cedar Spine (7B+) – High and stunning. 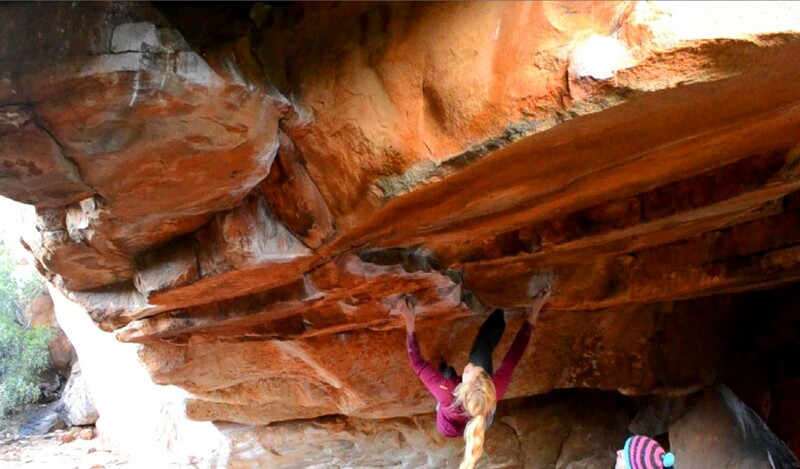 These among others made my trip so enjoyable: climbing on brilliant rock, interesting movement and good lines. The best thing I took away form this trip was a real sense of progression. Since my last trip in 2011 I have trained a lot, worked my weaknesses to death and it is so nice to have solid proof that it has paid off. Two years ago I managed with a fair bit of effort to climb Nutsa (8A) but this trip I was able to climb eight 8A’s, and an 8A+ and all with less fuss. No huge grade jump but it feels like a big step up. There were moves I couldn’t do then that I could do now and that was hugely satisfying. I was also able to open a door to harder things, peek in and get psyched to get stronger. So…now it is back home – Adidas Rockstars awaits, as does Vastervik in Sweden, then home for some limestone, some grit and some training. Hopefully next year we will be able to go back to paradise – to try hard, top up our tans and get our year’s fill of fillet steak! 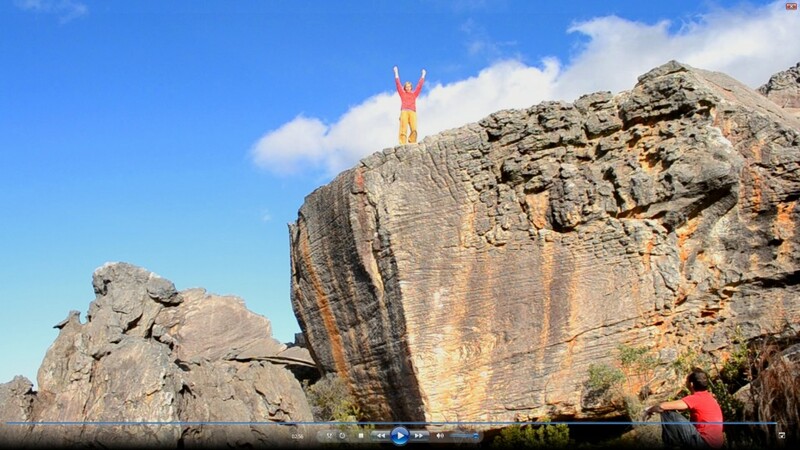 Tomorrow I Will Be Gone (7C) (Video Still) – appropriately did it on our last day! Looks amazing Mina! Just wondered when the videos will be up?